Proactive Advisor Magazine is dedicated to promoting and educating the advisor community on active investment management through original, leading-edge content. Distribution reaches a wide audience of financial professionals who advise clients on investments and portfolio management. Each issue of Proactive Advisor Magazine features a profile story that provides experienced investment advisors an opportunity to share their beliefs about practice philosophy, client service, investment strategies, and how they have differentiated their practice. WHAT DO WE LOOK FOR IN A FEATURED ADVISOR? We’re searching for leaders in the investment advisor community who effectively use active investment management and separately managed accounts. Featured advisors have insights about the financial industry and practice management that our readers are interested in and find beneficial. These advisors also grow, manage, and market their businesses in innovative ways. WHAT ARE THE ADVANTAGES OF BEING A FEATURED ADVISOR? Awareness. If you are selected to be a featured advisor, your story will be distributed to nearly 200,000 investment industry professionals, instantly increasing your professional visibility. Marketing opportunities. 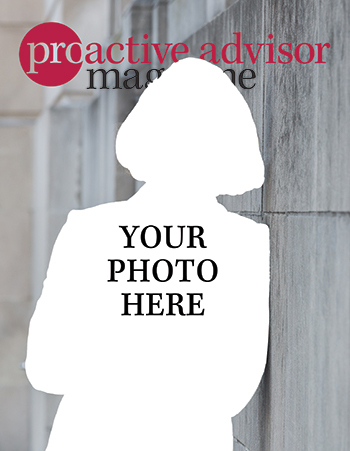 If you are selected, Proactive Advisor Magazine will provide you with tips on the best ways to get your features noticed, including how to share your article on social media. You will also receive 25 professionally printed, ready-to-mail copies of your cover and article; 100 promotional cards to distribute to clients and colleagues; and a plaque to display your achievement — all at no cost. A chance to grow your business. A feature in a respected magazine is a great way to establish yourself as an industry thought leader and offer colleagues and clients a window into your practice and services. WHAT HAPPENS IF I AM SELECTED TO BE A FEATURED ADVISOR? A Proactive Advisor Magazine representative will contact you to learn more about you and your business, and to discuss the details of your interview and photo shoot. Interviews typically take 60 minutes and are conducted over the phone with our editor, David Wismer. A session with a local photographer will also be scheduled. Photos from this session will be used for the cover and feature in your issue. Once your article is finished, it will be sent to you for fact-checking and a compliance review. 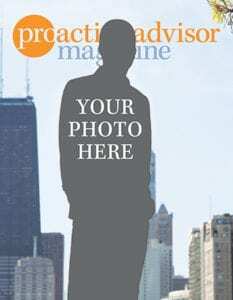 If you are interested in being a featured advisor in Proactive Advisor Magazine, click the button below.